Operations - Eagle Ford Shale - Carrizo Oil & Gas, Inc. 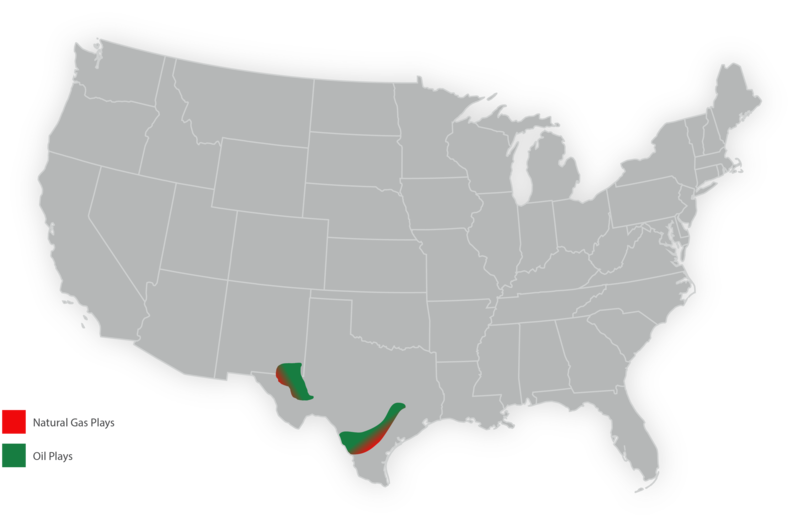 The eagle ford shale extends from the texas border with mexico, past san antonio, east toward houston. The Eagle Ford formation is comprised of largely black shale and limestone, and varies from 100-300 feet thick. The formation varies in depth along the play’s extent from approximately 7,000 to 12,000 feet. Reserves associated with the Eagle Ford vary from dry gas in the deeper southernmost portion of the play, in a trend from Webb to De Witt County, to black oil with little associated gas at its northern limits along a trend from Zavala to Fayette County. Carrizo elected to restrict its land acquisitions to the volatile oil window in the central portion of the trend, which it believes has the optimal combination of light oil and reservoir energy. 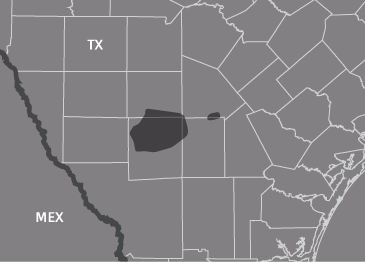 Carrizo's mineral leases and leasing activities are located primarily in La Salle County with smaller positions in Atascosa, Frio, and McMullen Counties. Note: SEC PV-10, Proved Reserves and Net Undrilled Locations as of Dec. 31, 2018.